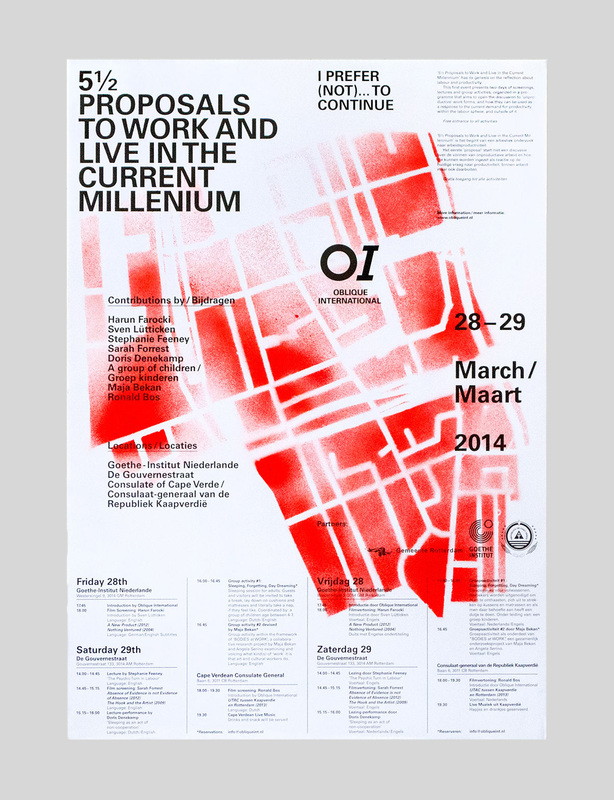 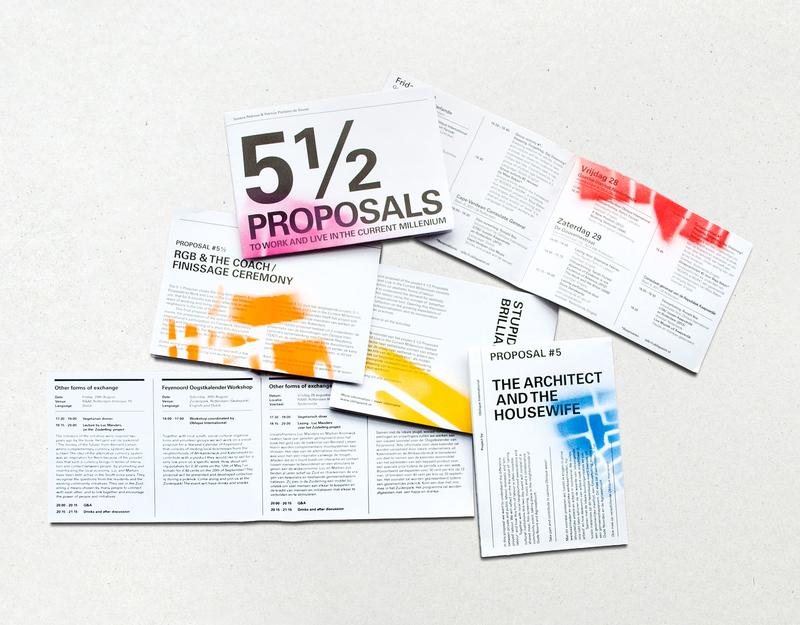 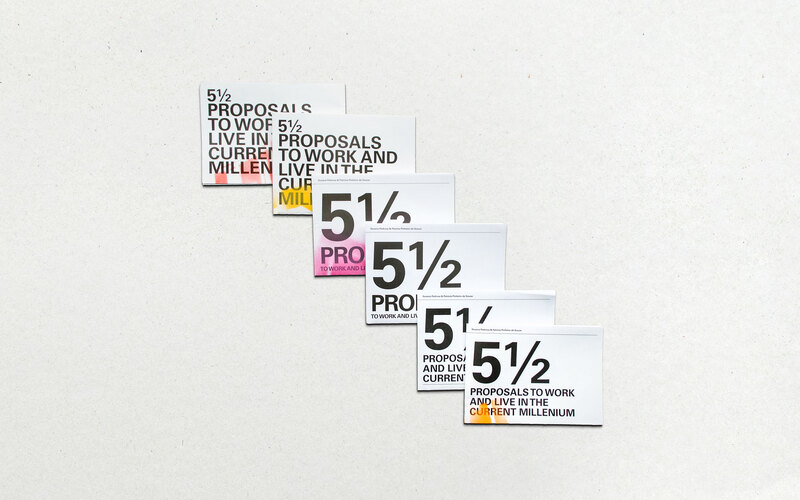 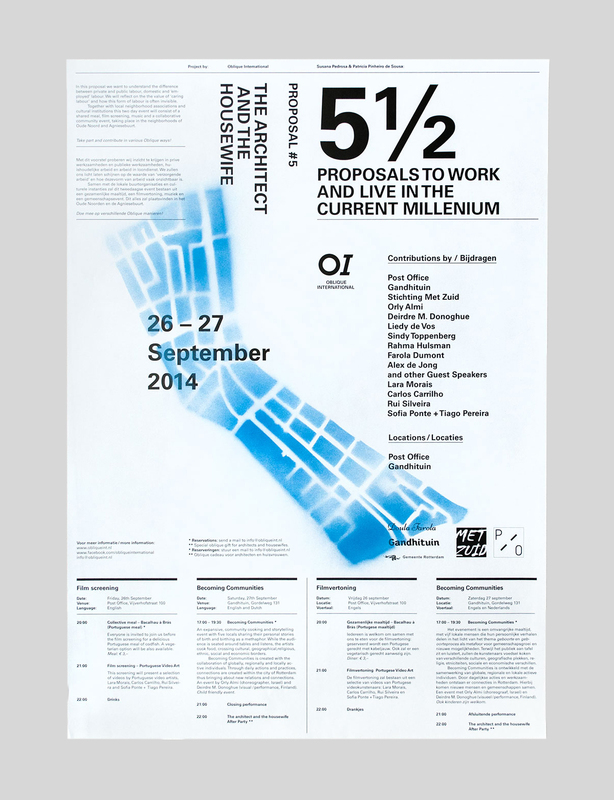 Over the span of 8 months, the artist collective Oblique International organised the programme 5 ½ Proposals to Work and Live in the Current Millenium, which consisted of 6 events with lectures, workshops, exhibitions and performances throughout Rotterdam. 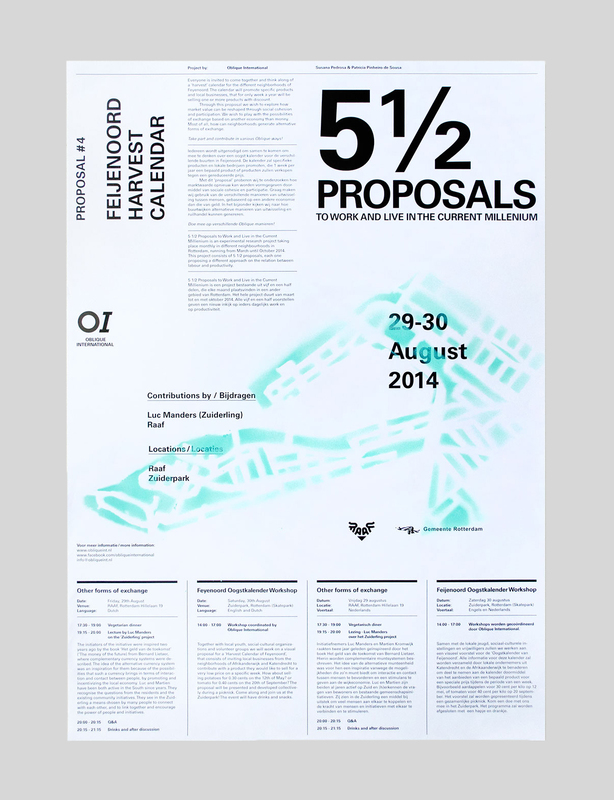 Every of the 6 events needed both a flyer and a poster and, —since the programme is non-profitable—, a fair solution to combine them. 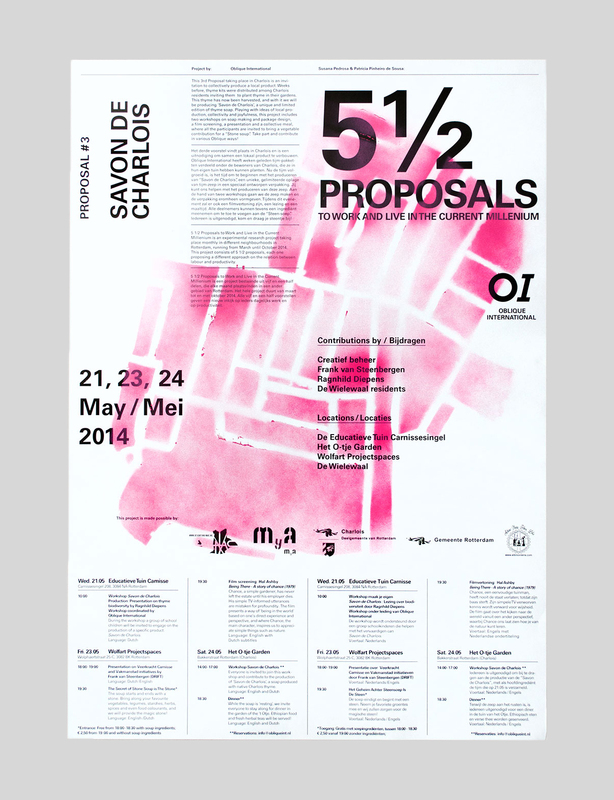 Each of the events was organized in one district of Rotterdam, and invited the locals from the neighbourhood to reinvent their skills and to get in touch with art, labour and creating. 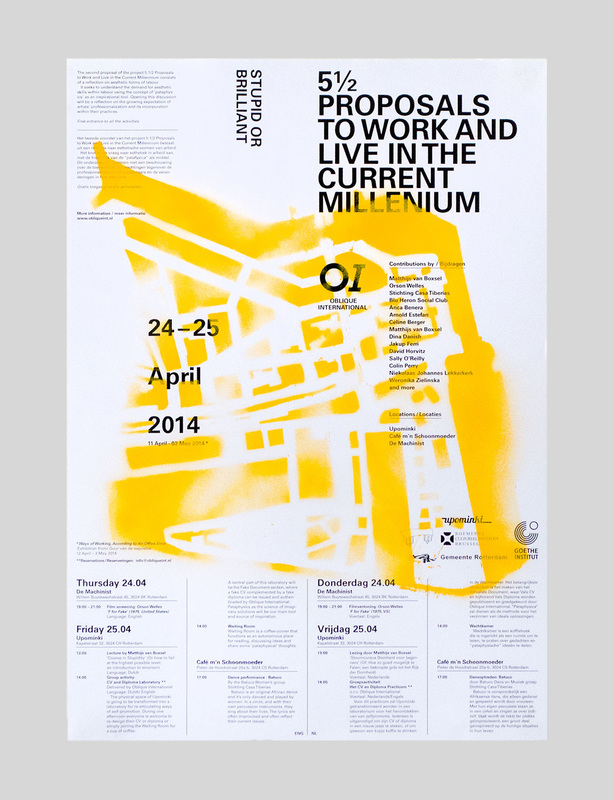 The result of the posters was a concise typographic lay-out, overlayed with the stencil of the map of the current event, which has been spraypainted by hand. 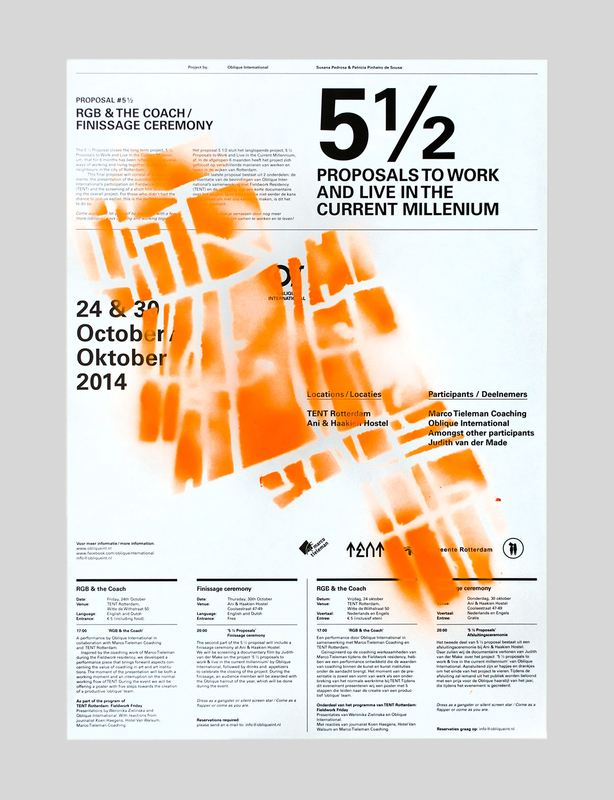 The whole project has been designed together with Amir Houieh and Gabor Kerekes.